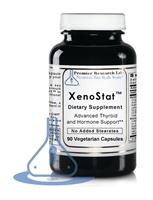 Ideal support for thyroid metabolism and detox. 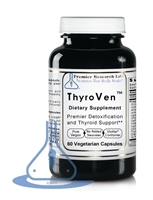 Healthy functioning of the thyroid gland is quite important as it helps regulate oxygen uptake at the cell and therefore, plays a key role in energy, regulation of blood sugar levels and body temperature. Key minerals such as Iodine are provided with herbal support. Premier Tyrosine Matrix provides superb neurotransmitter support during times of occasional stress. 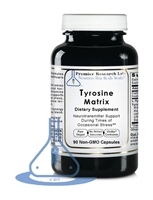 Tyrosine is a conditionally essential amino acid that is a precursor to the thyroid hormone, thyroxin, and to catecholamine neurotransmitters, so it's easy to see why it's so important!